Hey Kim here! How are you guys today! I'm one of THOSE people...I've spent so much time, energy and effort on making something I would hate to throw it away when I was done using it. That's why when I set up my Design Team planner, I decided to re-purpose my old pocket notebook insert covers and dashboards to make them bigger and better! If you haven't had a chance to see them the first time around, below is the YouTube video with a page by page walkthrough and a tutorial on how I made an acetate pocket. Now, let's get to the transformation! I did a walkthrough video to show and talk about how I organize my Design Team planner using my predesigned items from the Pocket Notebook. 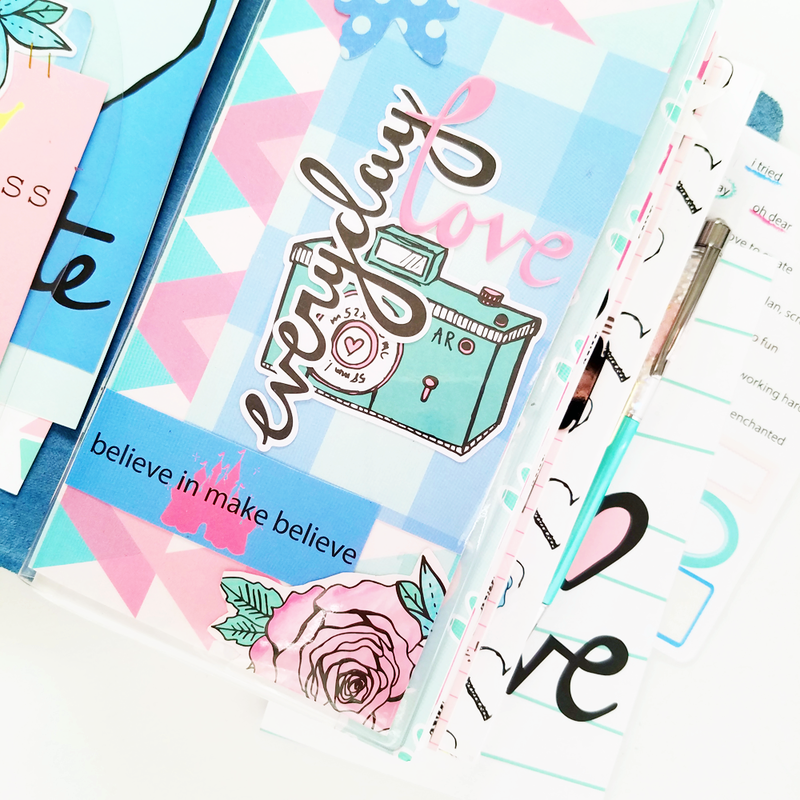 But I also talk about how each part come together so wonderfully from this endless Take Note collection! I tackled this dashboard by adding a piece of patterned paper as a base and then adding the previous 'everyday' dashboard from my pocket travelers notebook. Scraps make great additions, in this case, the flower is the last of the littlest bit I had left from the It's mama paper to make a cool little corner piece. The next one is with this cute and sweet little guy I couldn't get rid of! He again is starring once again as an insert cover. I did have to cover up a couple of bumps and bruises with some more stickers and paper pieces, but you would never know the way it turned out. This time, instead of wrapping the old insert around the new sized one, I decided to slice it down the crease and use only the front. I also added the tag made previously and grounded it on a new background paper. I also used part of an acetate to enhance the back side of this cover. 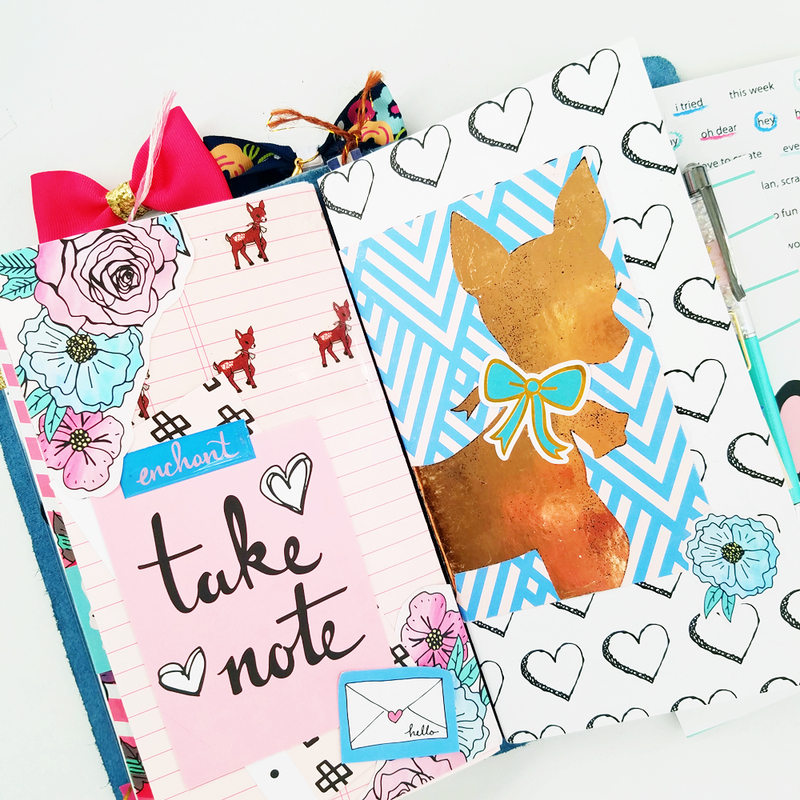 I love how Andrea has been designing this lined note paper for the kits! 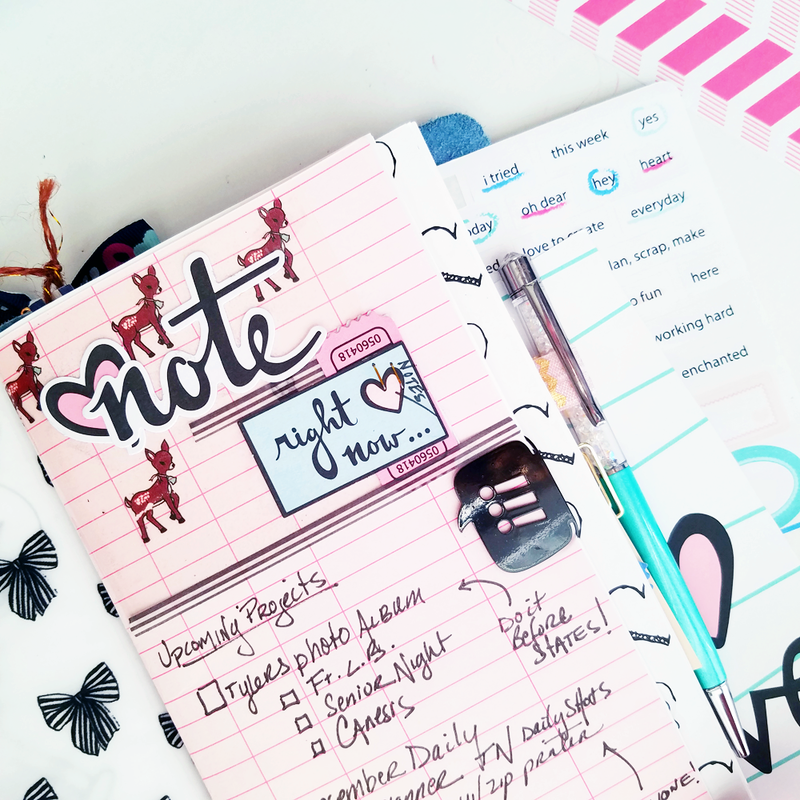 I thought it would be great to jot down some upcoming tasks I wanted to get a head start on. It's the perfect cover for my projects inset. The back side of this cover was newly designed but the one opposite with the foiled adhesive cutie is my favorite! I had to keep him as is for an insert surround. The last insert cover I had to use paper from the "Sweet" Collection because I had run out of all large paper pieces. BUT the colors work famously together. I then added a few more list papers to jot ideas down right on the cover! Love you guys! See you next time.